After this rainy November, the second wettest on record, I am appreciating features on my walk that I’ve taken for granted throughout the year. I’m certainly thankful for the gravel paths that wind through the gardens and keep my steps dry. The sun, when it’s out, is glorious, not to be missed, and combined with crisp cool air makes a walk therapeutic. But what I am most in awe over are the stately evergreen trees, some a century old or more, that frame all the pathways. I walk by these evergreens every day, but when the landscape is bare of flowers and deciduous leaves, they stand out and command attention. 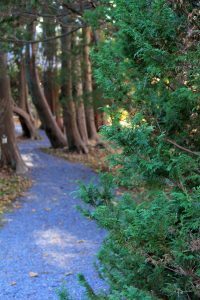 Blithewold’s arboretum has an eclectic mix of evergreens that create enclosures to each garden. 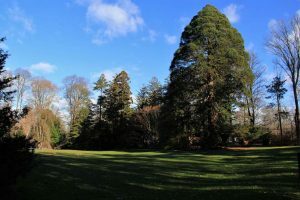 Between the Bosquet and the Enclosed Garden a grove of false cypress, Chamaecyparis pisifera ‘Plumosa’, their branches layered and rooted, stand like sentinels along the path guiding you through the landscape. These precious evergreens are pruned sparingly to create wreaths, such as the one on the mansion’s front door welcoming visitors to Christmas at Blithewold. For me, the tradition of making the front door wreath signals the start of the holiday season and the end of major garden tasks. 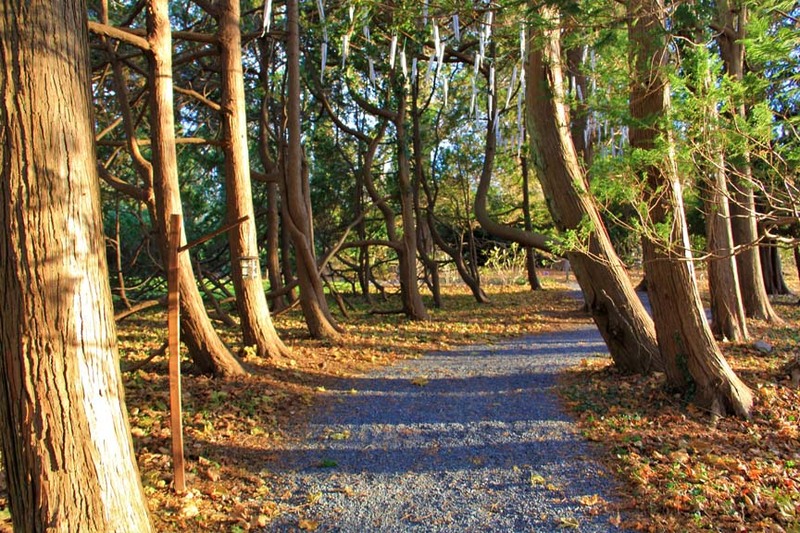 This is the season of evergreens, whether you’re walking the paths or up to the front door. Visit www.blithewold.org to see all the fun happenings at Christmas at Blithewold. 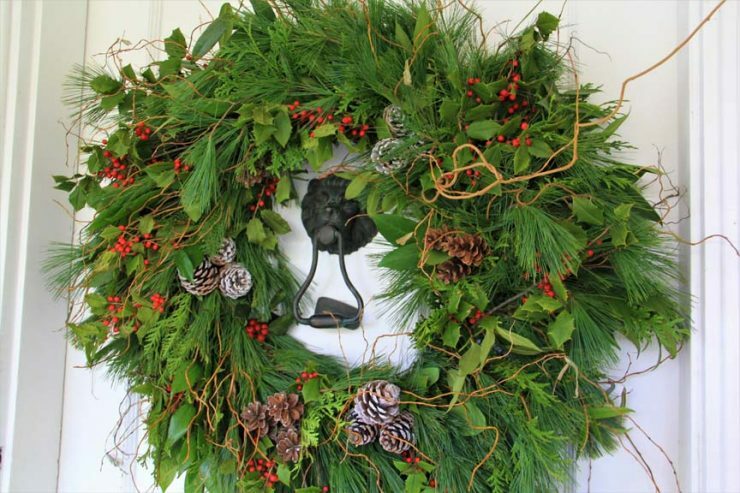 Click here to see Gail’s video of a Blithewold Wreath Making Workshop.